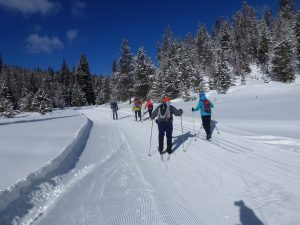 Central Oregon Nordic Club members were as hardy as a mail carrier on Sunday, Sept. 30 – neither rain, snow nor sleet stopped them from reaching their objective, which was No Name Lake. The forecast called for no rain and clearing around noon, says group leader Linda Frost. 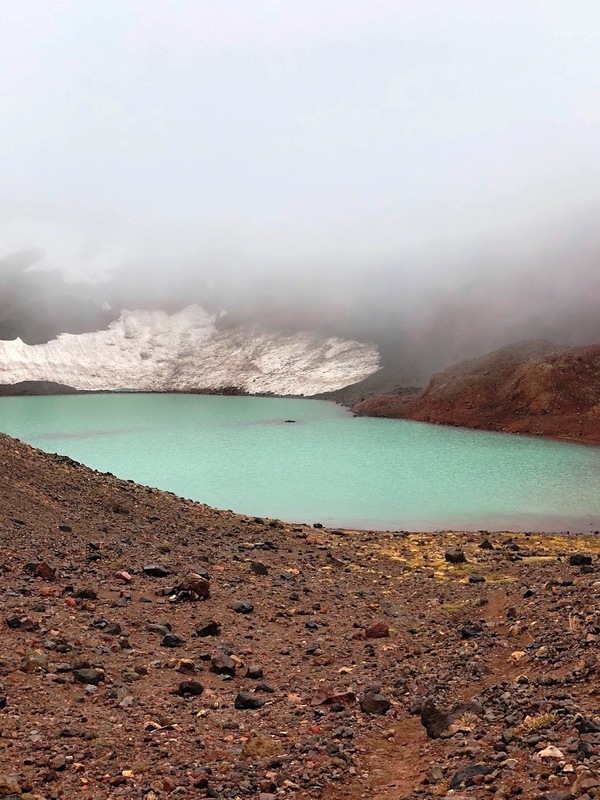 As a result, seven hikers set out from Crater Ditch for the seven-mile trip to scenic No Name Lake. 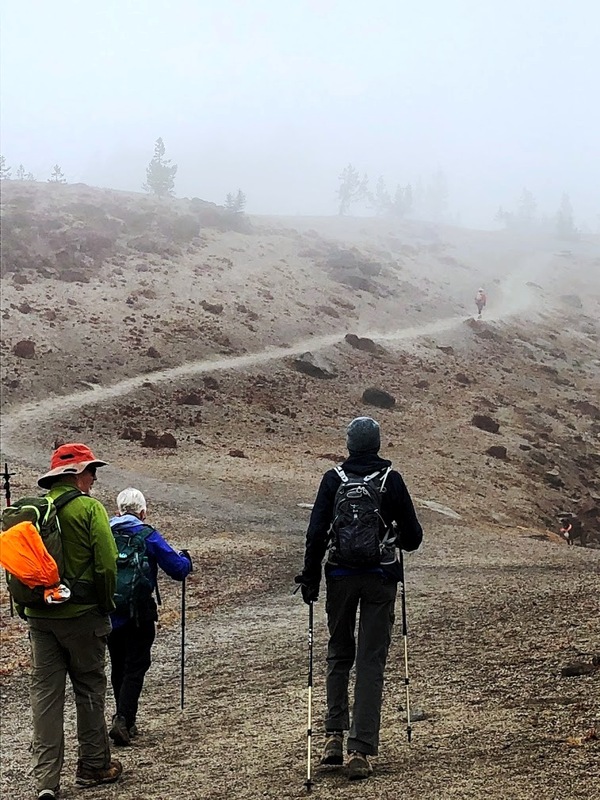 “We encountered rain, sleet, snow and even a bit of sun,” says hiker Gary Kelley. The conditions at the top of the hike were sleet and snow, Linda says. Still, hiker Thom Iverson calls hiking a “secret way” to No Name Lake “more than a worthwhile adventure.” The route had 1,464 feet of elevation gain. 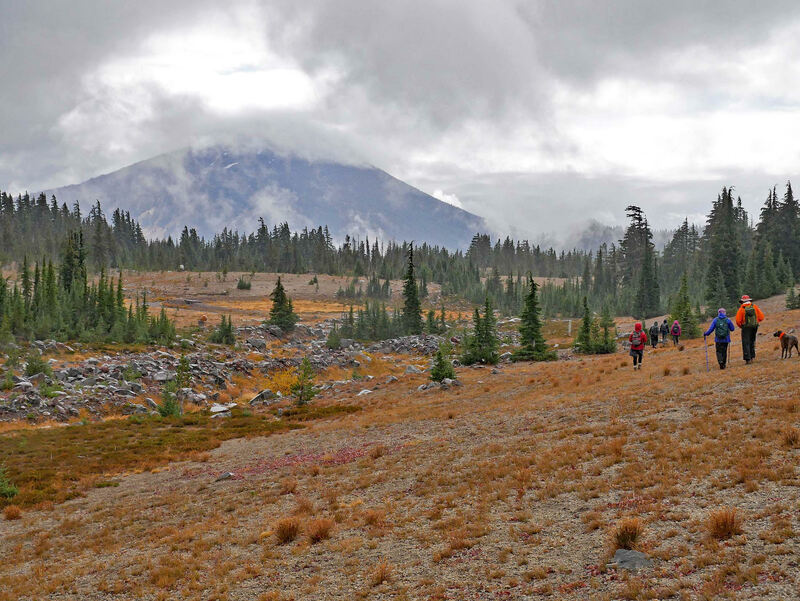 “Rain, ice pellets and occasional wet snow was coming down about 80% of the hike,” Thom says. 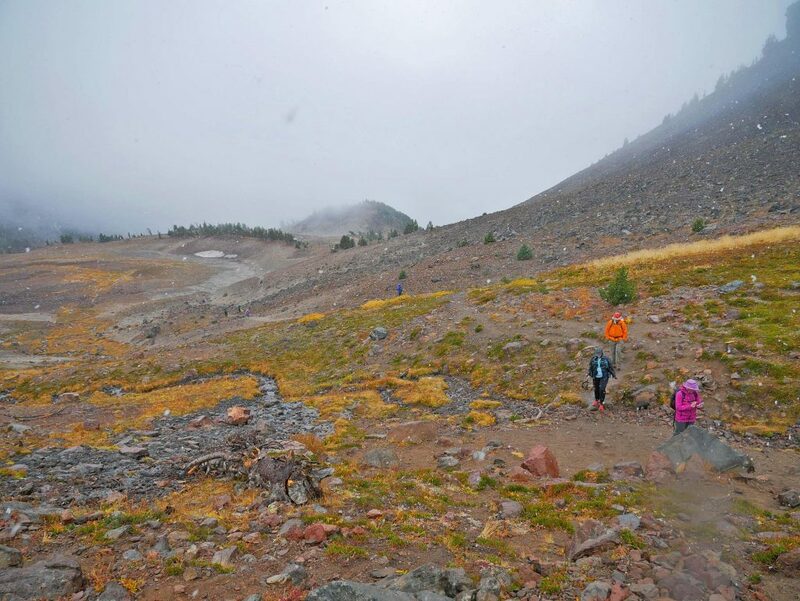 “The avalanched elk herd [as reported in the Bulletin earlier this year) was hard to see through the fog, and no one was up for exploring around the lake in the cold wet windy weather.